Tales From The Borderlands. What happens when you take the established and chaotic world of Pandora and switch the focus away from vault hunters and a bajillion guns? Could it still maintain the same feel or would it be impossible to maintain? 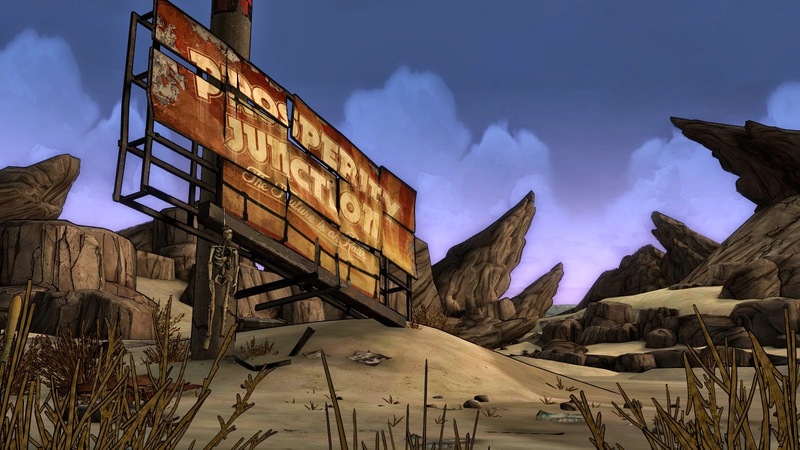 Would a story based more around choice and consequence still be recognizable as a Borderlands game? The short answer is yes. 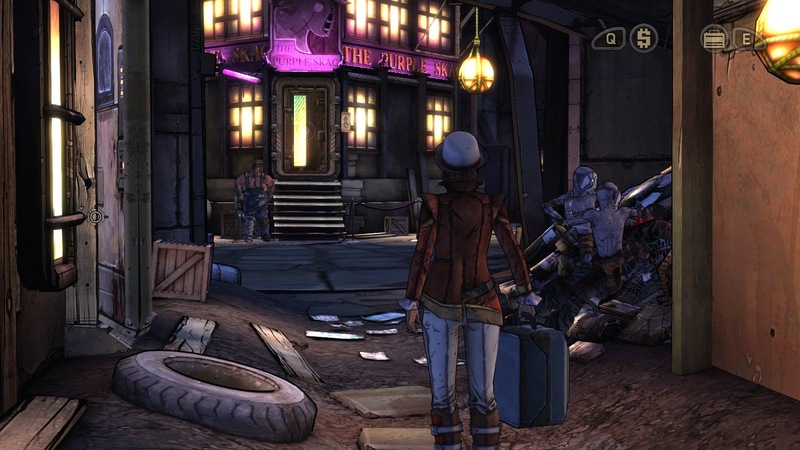 The first episode, "Zer0 Sum" is very much a Borderlands game. From the moment it begins, there is no question what universe you inhabit. Every inch of Pandora looks and feels as it should, from the guns to the psychos. The wit and bloody humor the fills every corner of Borderlands is there as well. Tales feels like a new path through a familiar place. It's familiar enough to be comfortable (or as comfortable as you can be on a planet filled with murderous raiders) but the change of perspective keeps things from feeling tired. Telltale games of late have brought us some very dark and dramatic stories, but we shouldn't forget that many of their earlier titles were comedic. Sam and Max, Tales of Monkey Island, Wallace and Gromit, were less likely to leave me in tears than The Walking Dead but were no less well written. Humor is a complex thing that takes serious talent to write but it's too often discounted as amateur or easy. Tales bears the same absurd wit that made Borderlands such a hit but the absence of constant shooting and screaming allows it to occupy more of the spotlight. I laughed a lot and it felt good. The voice cast has been filled out with some folks that should sound familiar. Troy Baker and Laura Bailey voice player characters Rhys and Fiona. Chris Hardwick is Rhys' friend Vaughn, and Patrick Warburton plays Rhys' corporate nemesis Vasquez. All of them do a wonderful job of bringing their characters to life. Their timing and inflection make even the more cliched jokes in Tales quotable. Even early in the game, it's clear that Pandora is still a ruthless and dangerous place. At least for that guy on the trash pile. The game is not without its flaws. Throughout the episode you swap between playing as Rhys and Fiona. Each come with their own visual style and abilities, but the characters may as well be twins. In the two and a half hours I spent completing the episode I found little difference between the two in demeanor or general competence. Fiona doesn't have cybernetic enhancements like Rhys, but the decisions she makes and the way she handles her own situations isn't enough to separate the two. It could be intentional, but it's still too early in the series to tell. I expected more differences between the two that would force players to switch up playstyles between them. Rhys' Echo Eye allows the player a tiny bit of exploration and is one of the few things that distinguish him from Fiona. Telltale uses a fair amount of "quicktime events" in their games, particularly in action sequences. These are quick instructions that tell the player to press and/or mash particular keys or buttons. It's effective on conveying urgency to the player and keeping them engaged. Too many of these events easily wears at the novelty of them and they begin to feel tired and repetitive. I felt like I spent more time in Tales completing these quicktime events than I spent in areas that I could explore at my leisure. I understand that the fast-talking con game motif of the story necessitated fast dialogue and tense situations, but it's a shame to be given this new perspective on Pandora and not be given some licence to explore even a bit. 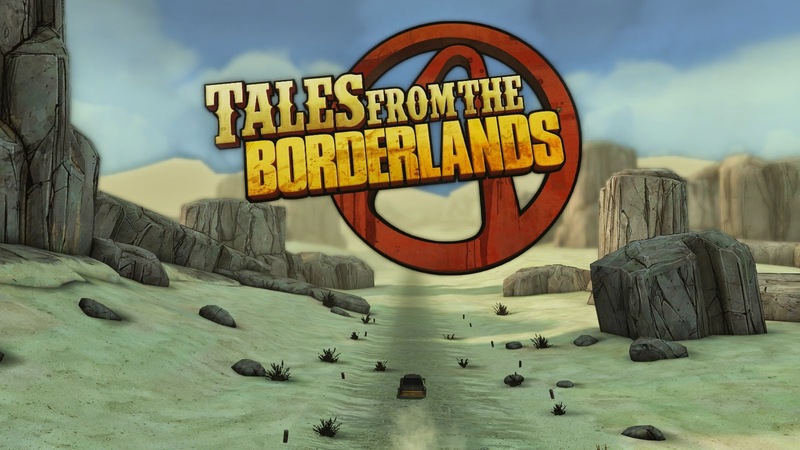 Tales From the Borderlands is very funny and entertaining. The new narrative perspective and writing are great, but a few issues with overused quicktime events and very similar play between the two principle characters dulls the otherwise well honed blade of this premiere episode. If you're a fan of Borderlands already, I don't think you'll be disappointed at all. If you've never heard of / played the game before you'll miss a few inside jokes, but I think you'll be plenty entertained by the humor and fast pace of the game.